Anyone following the Open Access (OA) debate via mailing lists like the American Scientist Open Access Forum and Liblicense could mistakenly conclude that OA is an issue of relevance only to researchers and research institutions in the West. The reality, of course, is that OA is an international issue. Indeed, given the greater financial constraints they face, developing nations have far more to gain from Open Access. In this first part of a two-part interview Professor Subbiah Arunachalam, Distinguished Fellow of the Chennai-based M S Swaminathan Research Foundation (MSSRF), explains to Richard Poynder why OA is so important for Indian research. RP: Can you start by saying something about yourself and your background? SA: I was born into an economically middle-class family — although socially in the upper crust — in a small town in the southern Indian state of Tamil Nadu. I went to school and college close to my home, and I was fortunate to have had some excellent teachers. Thanks to my mother, I also developed a thirst for devoting myself to the public good. RP: You are a chemist by training? SA: Yes. I started out as a student of chemistry, and after obtaining a Masters in Chemistry at Annamalai University in 1963, I took a research assistant’s job at the Central Electrochemical Research Institute, Karaikudi. I worked there for 21 months, doing research in electroplating. In May 1965, I moved to New Delhi, to work as an editorial assistant in the Publications & Information Directorate of the Council of Scientific & Industrial Research (CSIR). Then in 1969, I took three years' leave to pursue research in physical chemistry at the Indian Institute of Science (IISc), Bangalore. RP: It was at the IISc that you developed an interest in information science I believe? SA: That's right. While I was at the IISc I spent a lot of time in the library, where I started assisting students (and faculty) who were looking for information. Years later, when asked if he knew me, a professor of organic chemistry told me that I was a living legend in the campus, and frequently referred to as "the tall man with glasses who will help anyone in need in the library". RP: Did you take a course in information science? SA: No. I never took a course in information science or librarianship. I simply developed a natural flair for some aspects of information science, largely focused on the needs of students of science seeking information for research, and those wanting to look at and "evaluate" performance in scientific research. Anyway, in 1973, after three and a half years of not-so-successful research in the lab, I was asked to take on the job of editor of publications, and secretary, at the Indian Academy of Sciences — an institution founded in 1934 by Sir C V Raman, India’s only Nobel Laureate in Science. RP: Where you set about re-organising the Academy's journals? SA: Indeed, and my first task was to convince management that the Academy needed subject-specific journals, rather than the omnibus Proceedings of the Academy, published in two sections. RP: Was that an easy task? SA: Well, there was some opposition from older Fellows of the Academy, but the management agreed to go ahead, and we started by creating a new journal for physics (Pramana), which was until then part of the Proceedings of the Academy, Section A. Today, instead of the original two sections of the Proceedings, the Academy publishes ten subject-specific titles. RP: In 1975 you returned to CSIR’s Publication Directorate? SA: Yes, and I continued there until 1992. During that time, apart from editing journals and writing popular science articles, I started teaching information science at the Indian National Scientific Documentation Centre, and doing research in scientometrics. RP: And at that time you also joined the editorial boards of a number of journals? SA: Actually that started in the late 1970s. Gene Garfield, who has been a strong influence on my professional development, asked me to join the editorial board of Current Contents in 1977; and I have been on the editorial board of the Journal of Information Science since its very first issue in 1979. Subsequently, I also joined the editorial boards of a number of other journals, including Scientometrics, Public Understanding of Science, and Current Science. RP: What are your primary interests today? SA: Currently, I am active in two areas, in both of which my flair for information work comes in handy. For more than ten years I have been a full-time volunteer at the M S Swaminathan Research Foundation (MSSRF), in Chennai. There I am part of the Information Village Research Project, which uses new ICTs to empower rural communities, and an adviser to the National Virtual Academy. I also continue to look at how we can improve access to information in developing countries, and how the literature can be used to quantify and assess science. So part of my work addresses the needs of scientists, and the other part — ICT-enabled development — addresses the needs of the poor. As part of the latter work I am on the Executive Committee of the Global Knowledge Partnership, and on the International Advisory Board of The International Institute for Communication and Development (IICD). I am also one of the three Secretaries of Mission 2007, which aims to bring the knowledge revolution to all 637,000 villages in India, and a member of the Working Group on Libraries set up by the National Knowledge Commission. RP: That sounds like a demanding workload. Yet you still have time available for advocating for Open Access? SA: Well, I actually spend about one-third of my working day, and sometimes even more, on OA advocacy and promotion. RP: When did you first take an interest in Open Access? SA: My interest in improving access to information for scientists in the developing world started in the early 1970s, when I was still a research student at the Indian Institute of Science. My first article on information as the key to science development, for instance, appeared in 1975, in Science Today, India’s best-known popular science journal. I also spoke about the special needs of researchers in the developing world with regard to information access at the first ISI meeting on Advances in Information Access, in Philadelphia, in 1982. There I advocated for differential pricing for journals and databases and, wherever possible, free distribution. My interest in promoting Open Access specifically started around 1996, when I began working as a visiting faculty at the Indian Institute of Technology, Chennai. RP: In an article you published on Open Access last September in the Asian information newspaper Access you said "papers written by Indian scientists, often with support from Indian taxpayers' money, are not seen, read or cited by other Indian researchers." What is the problem here? SA: The issue is quite simple: research performed in India, and funded by Indian taxpayers, is reported in a few thousand journals, both Indian and foreign. Since some of these journals are very expensive, many Indian libraries — including sometimes the author's own institutional library — are not able to subscribe to them. As consequence, other Indian scientists working in the same, or related, areas are unable to read these papers. This is a problem common to all developing countries. RP: How can Open Access resolve these problems for Indian researchers? SA: If all these papers were published in OA journals, or if the authors made them freely available on the Web by self-archiving them — either in institutional OA archives or in central archives like arXiv and CiteSeer — then the problem would vanish. RP: As your answer implies, there are currently two main ways to provide OA to research literature: the Gold Route (in which OA publishers charge researchers, or more usually their funders, to publish papers, and then make those papers freely available on the Web), and the Green Route (where authors continue to publish in traditional subscription-based journals and then self-archive their papers themselves on the Web). In a paper you published with US-based OA advocate Peter Suber in World-Information City last October, you argued that self-archiving is the best route for Indian researchers. Why? SA: I would point out that not all gold route OA journals charge authors (or indeed their funders) a publication fee. Currently, for instance, not a single Indian OA journal charges author-side fees. But to answer your question: I believe that OA archiving is a better option because it would allow us to achieve 100% OA more quickly. Today there are not many Gold OA journals, so compelling authors to publish their work only in the few OA journals that currently exist would not achieve the same effect, in the short-term at least. RP: What you are saying is that there are currently too few OA journals to enable researchers to publish all their papers OA using the Gold Route. By self-archiving, however, they could provide OA to all their work immediately? SA: Right. Self-archiving allows authors to continue to exercise their freedom to choose which journals they publish in, while also making their papers freely available to everyone on the Web. As Stevan Harnad and others have pointed out, 92% of about 9,000 journals surveyed already allow self archiving, and there are ways by which one can overcome the restrictions imposed by the other 8% of journals. Self archiving, by the way, has the added benefit of enabling institutions to keep track of the publication output of their faculty and students. RP: One of the issues frequently raised when discussing OA publishing is that the researcher (or his funder) is required to pay to publish. As you point out, however, Indian OA journals don't charge author-side fees. Moreover, OA publishers like BioMed Central and Public Library of Science waive their fees in cases of economic hardship. While I take your point about the current shortage of OA journals, the number is growing all the time. I wonder, therefore, if OA publishing might not be a more cost-effective route for Indian research institutes. After all, some financial investment is needed to create and maintain an institutional repository (IR)? SA: It is not an either or question. Both publishing in OA journals and setting up institutional archives, or repositories, are important for Indian scientists. Moreover, the cost of setting up and maintaining an institutional archive is actually quite low, and certainly affordable for most Indian research institutes and universities. Certainly if papers by Indian scientists are accepted for publication in high quality OA journals such as PLoS Biology and PLoS Medicine, and if the publication charges are waived, it is good. The fact is, however, that not many Indian authors are able to write papers that are accepted by such journals. RP: So where do Indian researchers publish their scholarly papers today? SA: Indian research appears in both Indian and foreign journals, roughly in equal proportions. The problem is that most Indian journals have a very poor circulation; for example, only six of the twenty or so journals published by CSIR has a subscriber base of over 1,000 (but less than 1,500). And most Indian papers in foreign journals are in low-impact journals. Indeed, my own bibliometric studies have shown that a very small percentage of Indian papers appear in high impact journals. The net result is that Indian work does not reach a wide audience, affecting both its visibility and impact, and so the general impression of Indian science is poorer than it deserves. That is why having OA archives is very important for Indian researchers: they can provide much greater visibility. RP: How would you explain the benefits of Open Access to Indian researchers? SA: I would point out that by making their research more widely available they can increase its visibility, and thus its impact. Essentially, the appeal of OA for Indian researchers is that they can publish in a full OA journal at no cost to themselves, or to their organisation; or they can publish in any journal and then self archive their papers; and by doing so they can raise their profile within the international research community. RP: You say that no Indian OA journal charges author-side fees? RP: How then do these journals make ends meet? SA: Almost all of them charge a subscription for the print version of the journal — which, by the way, is always much lower than the subscription prices of journals produced in the West. Some of them also carry advertisements; and some get grants from the government. RP: OK, so they provide free access to the electronic version, but charge for print subscriptions. The situation you describe of no OA publisher charging author-side fees is unique to India is it? SA: Not necessarily. There may be other countries in which none of their OA journals charge author-side fees. A key factor, perhaps, is that — unlike in the West — journal publishing in India is not dominated by commercial publishers. Many Indian journals are published by government agencies like CSIR, the Indian Council of Agricultural Research, and the Indian Council of Medical Research; by academies like the Indian Academy of Sciences and the Indian National Science Academy (INSA), and by professional societies like the Indian Chemical Society. It is worth pointing out that publishers can also benefit from embracing OA, as my friend Dr D K Sahu [CEO of the Bombay-based private company MedKnow Publications] has convincingly shown with the Journal of Postgraduate Medicine (JPGM). SA: Within a very short time of going OA, JPGM started attracting far more papers, many from abroad. It also saw a considerable increase in the number of print subscribers, especially from other countries. And the number of citations per paper also increased tremendously. In fact, JPGM now gets more than a million hits every year, and papers published in it are cited far more often now than a few years ago. Indeed were it to be indexed in Journal Citation Reports, it would be the Indian journal with the highest impact factor! RP: So what is the current situation with regard to OA publishing in India today? SA: Currently close to a hundred Indian journals are OA. This includes eleven journals published by the Indian Academy of Sciences, four journals published by INSA, one journal published by the Indian Institute of Science, one journal published by the Indian Council of Medical Research, and three journals published by the Calicut Medical College. In addition, The National Informatics Centre of the Government of India operates the Indian Medlars Centre, which makes available electronic versions of 38 Indian biomedical journals, mainly published by professional societies. And Indian Journals.com, a Delhi-based company, publishes eight OA journals. Finally, the commercial publisher MedKnow Publications publishes both print and OA electronic versions of 30 medical journals on behalf of Indian professional societies. There is, however, a long way to go. While a few CSIR journals were available electronically for a few years (through Bioline), for example, the agreement was not renewed. And today not a single Indian Council of Agricultural Research (ICAR) journal is an OA journal. RP: How do the electronic services offered by Indian publishers compare with those produced by Western publishers and learned societies? SA: The quality of the web presence of Indian OA journals varies considerably. The MedKnow journals are among the best, and their web presence is comparable to that of any Western scholarly publisher. The Indian Academy journals, on the other hand, have considerable scope for improvement. The tragedy is they can really afford it, but for some reason they are not doing it. This inability or indifference to translate what is possible into reality is a problem you encounter in most developing countries. RP: What about the development of Indian institutional repositories? SA: The Institute of Mathematical Sciences (IMSc) was the pioneer in OA archiving in India. In 1997, for instance, when telecom infrastructure in India was poor, the IMSc set up a mirror site for arXiv. So far as institutional repositories are concerned, however, there is currently much talk and little action, and in total there are still only about twenty-five institutional archives. RP: Can you say something about them? SA: The best known is the GNU EPrints archive at the Indian Institute of Science in Bangalore. It was the first institutional archive to be set up in India, and currently has over 4,175 papers, although not all of them are in full text. Many of the papers are uploaded by the keepers of the archive and not by the authors of the papers. The National Chemical Laboratory also has an archive. It has very few papers but a large number of PhD theses. The Laboratory’s scientists are reluctant to deposit their published research papers in the archive. The Indian Institute of Management at Kozhikode in Kerala also has an archive but, again, author reluctance to archive is rather high. Overall, Bangalore is emerging as the Indian leader in OA archiving. The Raman Research Institute, founded by Sir C V Raman, has recently set up an omnibus archive, although it has many more press clippings than research papers. The National Aerospace Laboratory, Bangalore, has also set up an omnibus repository. The Indian Institute of Astrophysics, Bangalore, too has set up its own archive. And Dr A R D Prasad, an ardent advocate of OA and DSpace, has set up an archive for library and information science — the Librarians’ Digital Library — at the Documentation Research and Training Centre of the Indian Statistical Institute, Bangalore. Finally, the Indian Medlars Centre at NIC, New Delhi, has an EPrints-based archive called OpenMED where biomedical researchers from anywhere in the world can deposit their papers. All in all, for a country of more than a billion people we have very little to show. RP: Let me ask you a more fundamental — if somewhat obvious — question. Open Access is essentially an issue of maximising access to research information by removing the financial barriers. But why is it important for Indian researchers in particular to have better access? SA: There are a number of reasons why Indian researchers need to have better access to scientific information. Many multinationals, for instance, are now not only establishing BPO [Business Process Outsourcing], marketing, and manufacturing operations in India, but R&D centres too. Likewise, many automobile and pharmaceutical companies are establishing manufacturing facilities in India, and many Indian companies, especially in the IT and pharmaceutical sectors, are acquiring companies abroad. In addition, laboratories like the Pune-based National Chemical Laboratory earn a substantial portion of their annual investment on R&D from contract research outsourced by overseas companies trying to take advantage of the lower costs of performing research in India. Indeed, Chemical & Engineering News recently published a special section on India, significantly entitled "Indian Science Rising." As a consequence of all this, the Indian economy is picking up, and the stock market is doing better than ever before: the Sensex recently crossed the unprecedented level of 12,000. But unless Indian researchers have access to current scientific information the current growth in research and research-based manufacturing will be seriously hampered going forward. Moreover, Indian science benefits people in other countries as well. When Africa badly needed large supplies of antiretrovirals to combat HIV/AIDS, and was unable to procure them because of prevailing high prices in the West, for instance, an Indian company produced and supplied the drugs at a fraction of the cost. Consider also that diseases such as avian flu spread so fast across the globe, and natural disasters such as the tsunami of December 2004 affect distant regions within such a short time, that it is vital to have high-level local research capacity to minimise the deleterious consequences. But without access to the scholarly literature it is not possible to develop this local research capacity effectively. And bear in mind that India is home to the largest incidence of many medical problems, including tuberculosis, diabetes, malaria and blindness, and research done and treatments developed elsewhere sometimes do not help in dealing with these problems because of some locale-specific factors. Again, therefore, it is important to strengthen indigenous research capacity. The argument that poor countries should concentrate on the basics such as food, shelter, clothing, primary healthcare, and schools, and not invest in research, is faulty. These are some of the reasons why Indian researchers need better access to the scholarly literature. RP: In an interview you gave with Die Zeit in 1997 you estimated that India published about 11,000 papers annually in the 3,300 journals indexed in the Science Citation Index, and in total about 16,000 to 20,000 papers a year. Has the situation changed since then? SA: Not really. If there is any increase it is just marginal. In contrast, China, South Korea and Brazil have recorded a sizeable increase in their journal article output. I have written about this in Current Science. In the recent past, however, the Government of India has increased funding for research, which might help raise the number of papers published. The fact is that with less than 3% of the world's scientific papers coming from India, and most of them being cited much less often than the world average, India contributes sub-optimally to the creation of new knowledge. The harsh truth is that India cannot emerge as a knowledge power unless her performance in science improves substantially, and quickly. RP: You said earlier that Indian research institutions cannot afford all the scholarly journals they need. Research institutions in the West make the same complaint. At how much of a disadvantage are Indian research institutes compared to those in the West? SA: Well it is getting better. A good initiative by the University Grants Commission — InfoNet — has provided many Indian universities with access to around 4,000 journals, a good proportion of them in social sciences. As another indicator of improvement, it is worth noting that in 2002 the best Indian institution, IISc, had access to only 1,381 print journals, of which 200 were accessible online. Thanks to a government supported consortium called INDEST, today IISc faculty can access 8,950 full-text journals. The problem, however, is that many universities in the West subscribe to several times that number. Given such unequal access, Indian scientists inevitably struggle to perform world class science. The fact is that equitable access to current scientific information is essential if India is to take its rightful place in the world. RP: And since it tends to level the playing field, Open Access can help India to take its rightful place? SA: Exactly. But we also need to remember that while OA is necessary, it is not sufficient in itself. There are other factors and issues that need to be addressed too. In addition to what Arunachalam has mentioned, there has been other efforts like making Open Access literature available on a single plaform for the benefit of scholars not only in India but outside too. Recently Informatics (India) Ltd, a Bangalore based information company promoting information services in the country for over 25 years, launched Openj-gate (www.openj-gate.com) an ejournal portal covering 3000+ journals. The portal is said to be getting a number of hits not only from within the country but from outside too. The Indian Council of Medical Research made its journal "Indian Journal of Medical Research" an open access journal since the beginning of last year. Similarly the Indian Pharmacological Society has made its journal "Indian Journal of Pharmacology" an open access journal. OPEN ACCESS is Good if it works Both ways. It is good on certain products not for ALL. One has to understand what is coming in exchange after all Economics and security matters. 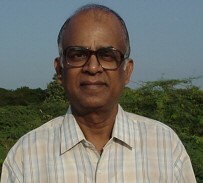 Prof. Subbiah Arunachalam must be commended for the good work that he is doing in the area of Open Access. With his commitment and dedication, I have no doubt that this initiative will meet with success. --The link given to words "Indian Journals.com" in the sentence "And Indian Journals.com, a Delhi-based company, publishes eight OA journals." is incorrect. Also access to many of their journals is charged. --Apart from few journals published by MedKnow, other journals are "Free Access" only and not "Open Access" in true sence. Thank you for this comment. The link for Indian Journals.com should now be correct. I am trying to clarify with them exactly how many OA journals they offer. Dr Sahu of MedKnow tells me that all journals published by Medknow offer 'immediate' free access and are 'fee-less' journals. They also permit free non-commercial reuse, re-distribution and archiving." Perhaps it would help if you were to expand on the distinction you are making between "free access" and "open access"? Are you saying that many Indian journals provide free access but do not describe it as Open Access? Or do you mean something else? We currently have five open access journals i.e. Many of the Indian journals provide Free Access to their online content. We also provide free access to 38 Indian Biomedical Journals - http://medind.nic.in. However most of them do not differenciate between Free Access and Open Access. According to various definitions - Open Access goes beyond Free Access by also granting "Distribution Rights" to the end user. Pharmacology - "IJP will continue to be a Free Access journal and insist on copyright transfer. Readers may make a few copies of any article for personal use and distribute a limited number of copies for non-profit, non-promotional academic activities (such as workshop or lectures) without prior permission." Much of the scientific knowledge in the world is gained with the help of public money, but it remains inaccessible to the public. The establishment of open access repositories would be a good opportunity for all the institutes and universities.